As all of my friend’s know, I am a BIG Christmas person! I love the whole concept, spending time together, giving, eating, shamelessly singing Christmas carols and seeing which pop star is going to release a Christmas album this year (even though it’s only about once every five years there’s actually a decent one)! Buying myself one special decoration each year, all the Christmas specials on TV and Christmas trees and lights decorating the world! But Christmas can also be a stressful time and seem more like a chore and an expensive one at that! We often lose sight of what it’s all about, despite the barrage of B-grade movies telling us all about it all through December (just so we’re clear, I do not count Love Actually in that class, that is clearly an excellent movie). Christmas is the perfect season in which to practice mindfulness. Be in the moment and enjoy it for what it is, take out the bits you don’t like and keep what you do! It doesn’t need to be consumeristic and heartless, it can be as it’s supposed to be, a time to enjoy yourself and share a bit of love in the world. 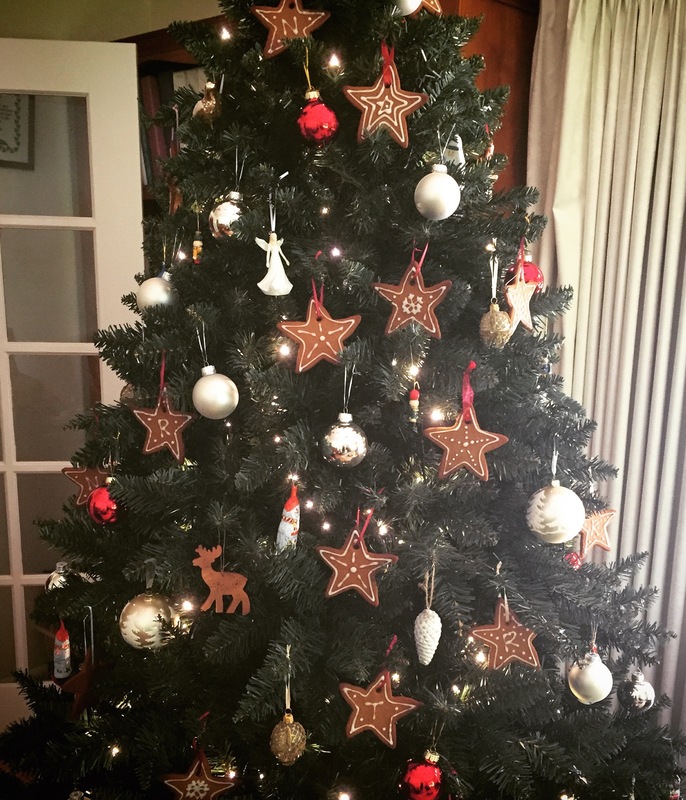 So here are a few ideas on how to bring a bit more Christmas spirit into your Christmas! No need to go overboard and send one to everyone you know as our grandparents did. Just go to your local Post Office or news agency or anywhere really, buy a 10-12 pack of the charity Christmas cards (there are some really good ones) and send them to friends, with a stamp, in the old fashioned post. Not only have you just made someone’s day as they’ve received physical mail that is not a bill, but you’ve also supported a worthwhile charity! Double win! No these are not just for children! You can buy the old-school ones which just have tacky Christmas images in them from bookshops for less than $10 (Dymocks in Australia for example). You can also buy expensive ones with chocolate liqueurs or L’Occitane samples etc. inside or even the regular children’s ones with cheap chocolate from the supermarket. Whichever you choose, put the calendar on your fridge or if you work in an office, at your desk, and just enjoy that little surprise each morning and regain a little bit of childish excitement in the countdown to Christmas! You could even make your own! Another great thing is advent candles that you burn down a little each day until Christmas. They can be a little trickier to track down in Australia but are a fun thing to do each night while eating dinner! Don’t resent the fact that you know you’re going to over-indulge over the Christmas season. Be proactive and cook lots and enjoy it! Gingerbread decorations on the tree are my favourite!! Not only are they better for you than the shop bought chocolate decorations and candy canes no matter how much butter you put in them (as there shouldn’t be any artificial ingredients), they also make the whole room smell like gingerbread and Christmas! Not to mention that they are really fun to make. Invite a friend round and have a gingerbread decorating session with a glass of red wine! Fresh gingerbread is also an amazing and personal, not to mention inexpensive, gift! This is the recipe I used last year and they were delicious: http://www.bbcgoodfood.com/recipes/gingerbread-bunting, it may not be the healthiest of recipes but they taste soooo good (and if you really wanted to, you could replace the butter with coconut oil or something else). Christmas can often feel like Christmas party on Christmas party and brunch on brunch with friends and hey, I’m certainly not complaining but sometimes our exercise regimes can fall a little by the wayside in December. So I’ve started planning to go for a walk with a friend before brunch and spending some time together doing something other than just eating (but I’m certainly not cutting that bit out)! Maybe try out something new together: hot yoga or trampolining or even something a little more technical like archery! Lots of sports will do one off come and try sessions, just start Googling!